If you hang out on the internet long enough, you’re probably going to see memes mentioning championship tee shirts of American sports teams who lost the championship. 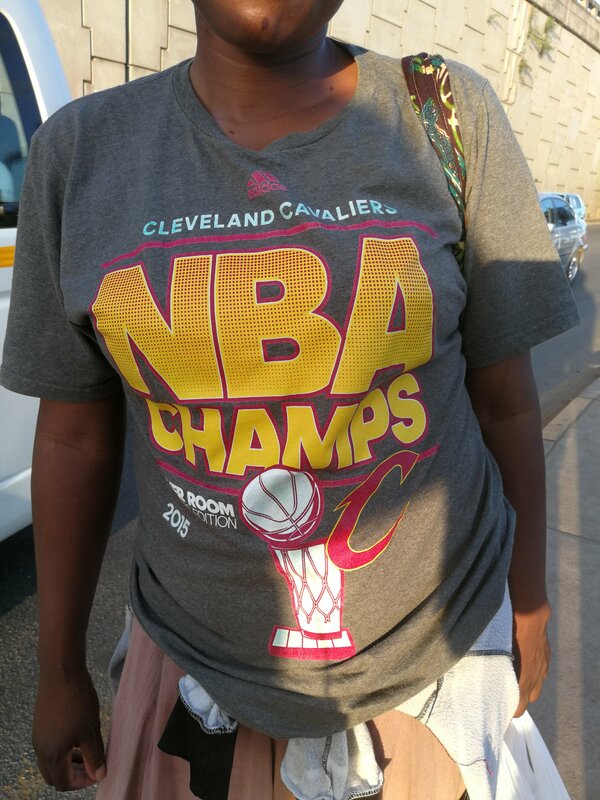 The memes typically exclaim excitement about the second place team’s locker room shirts arriving in Africa. I wasn’t sure if the memes were based in truth or not. However, while out and about in Swaziland, I started seeing various championship tee shirts. The meme was confirmed. I’m not sure about the details of how the shirts reach their final destination. I’ve been told that the shirts are frequently donated to international non-governmental organizations (NGOs) who may use the shirts as incentives in various programming. While fans of the second place team experience heartbreak and wonder what if, someone a world away gets a shirt. The above picture was taken last week in mid-sized town in central Swaziland. The 2015 Cleveland Cavaliers didn’t win. But this lady (who graciously agreed to be photographed) did, and has the shirt to prove it.